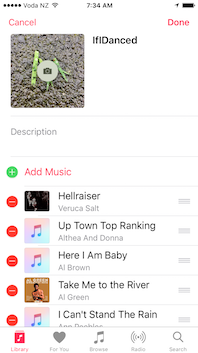 1/ Change the Playlist pictures in iOS Music — By default, playlists within the Music app use the albums’ artwork as their identifying image. 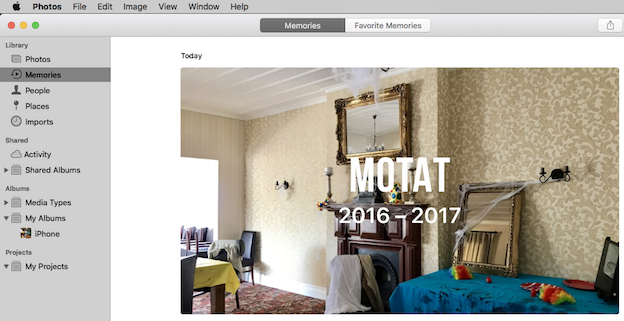 But you can take a picture to use or grab one from your Photos library: here’s how on iPhone/iPad. Open the Music app, and then click on the Library tab to visit the Playlists section. Touch the one you’d like to change the picture on, and tap the Edit button at top right on the subsequent screen. In this editing mode, you’ll see a small photo icon appear on the playlist’s image at top left – tap that. You’ll be given an option to either take a photo or choose one from your library.Choose, or take, and tap Done to finish the job. The change will sync to your other devices if you’re using iCloud Music Library. Cool, right? 2/ Use your Apple Watch to auto unlock your Mac — Apple added a feature in macOS Sierra and watchOS 3 called Auto Unlock. This lets you automatically unlock your Mac by waking it up. It’s handy to use and easy to set up if you have an Apple Watch running watchOS 3 and a mid-2013 or newer Mac running macOS Sierra 10.2 or newer. First you’ll need to set up two-factor authentication for your Apple ID, as this doesn’t work with two-step verification. Apple has a support page to switch from verification to authentication (Mac Observer has an article on setting up 2FA here). Once that’s set up, turn on Bluetooth and Wi-Fi on your Mac. You’ll also need to be signed into your Watch and Mac with the same Apple ID and your Mac can’t be using Internet Sharing. Check to make sure in System Preferences > Sharing. Next, go to System Preferences > Security & Privacy. Both your Mac and Apple Watch need to be set up with a passcode. On your Watch, go to Settings > Passcode > Turn Passcode On. On your Mac, go to System Preferences > Users & Groups > Change Password. Now on your Mc, click on the Apple icon () in the upper left corner of your screen. Click System Preferences > Security & Privacy > General. Check the box next to Allow your Apple Watch to unlock your Mac. It will take a couple of seconds to activate. Now, the next time you need to wake up your Mac, Apple Watch auto unlock will automatically unlock it. It’s just magic. 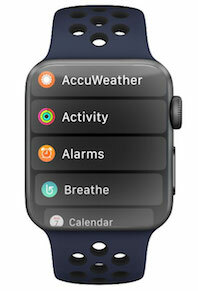 Press the Digital Crown to get to your Apple Watch Home screen. 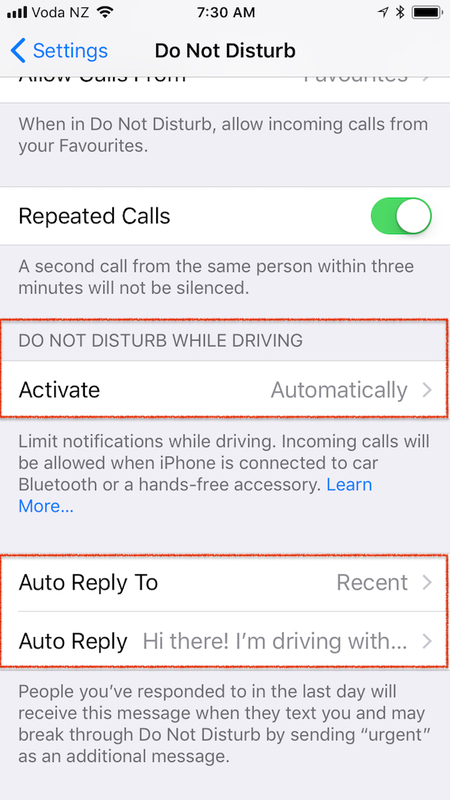 Then, Force Touch the screen and a brand new configuration panel shows up. Choose between grid view or list view. 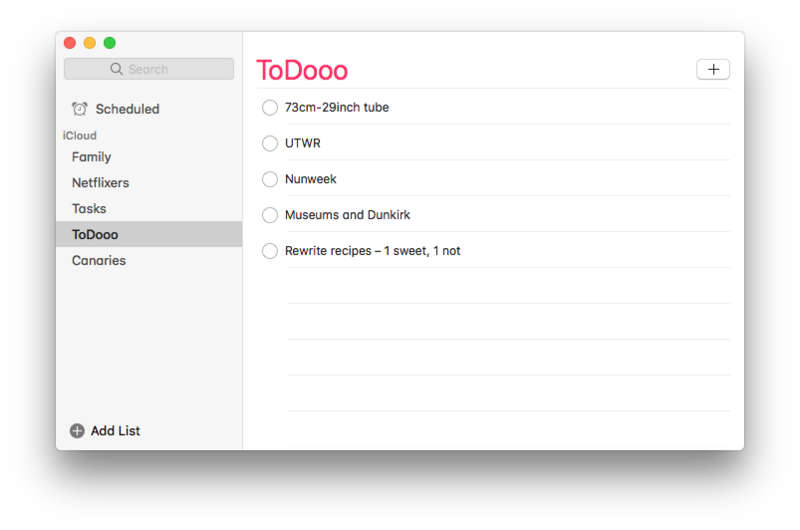 Once you’ve made the switch, you can scroll normally through your apps in a list, sorted alphabetically. You can also rotate the Digital Crown to move through your apps, which are sorted alphabetically. There isn’t any way to rearrange your apps in List View, at least for now. 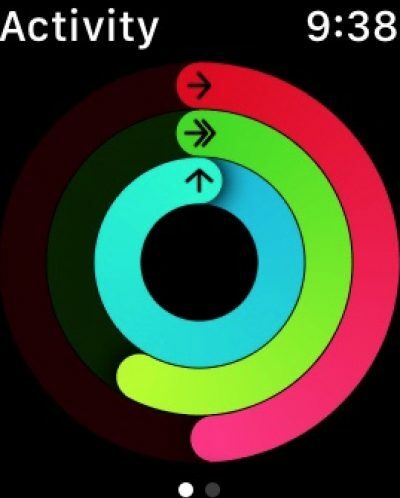 Bear in mind, though, this is still only Developer Beta 1 of watchOS 4 so more changes may be yet to come in future beta versions of the wearable operating system. The developer beta is available now, and the full release is expected in northern autumn 2017. 4/ iMazing — You know how getting files off an iPhone or iPad onto a Mac can be a mission, mostly because AirDrop only works sometimes? An app for macOS called iMazing changes all that. It’s not cheap though: a single license for iMazing costs US$39.99, a universal license is US$49.99, or you can get five licenses US$69.99 (for both Windows and Mac). all you need to do to unleash this power is plug your iPhone/iPad into your Mac with the charge cable (since it’s USB at the end that goes into the power charger). For example, via iTunes, it’s easy to transfer music from Mac to iPhone or iPad. 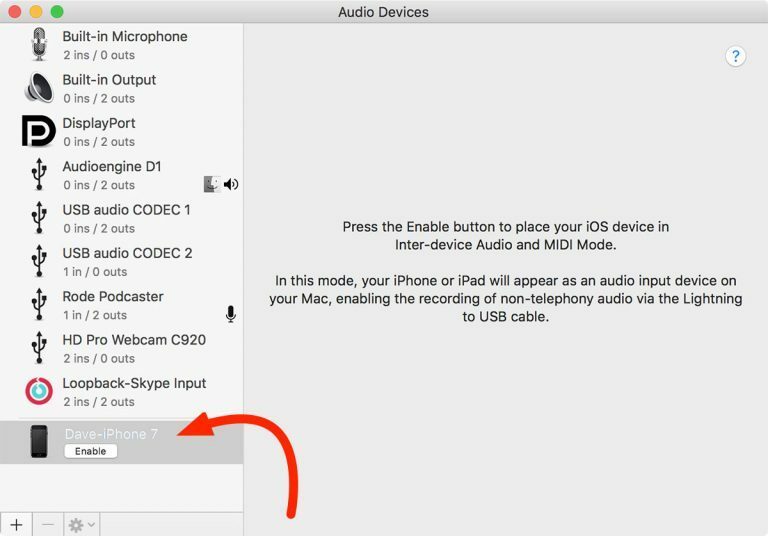 What if you want to export tracks off your iOS device? That’s not possible in iTunes, but it’s a snap with iMazing: select the media files you want, whether they’re songs, movies, TV shows, podcasts, or audiobooks, then click Export to Folder, and iMazing will happily transfer them to your hard drive. It’s even smart about it, recognising the tracks you already have in iTunes and leaving them alone. 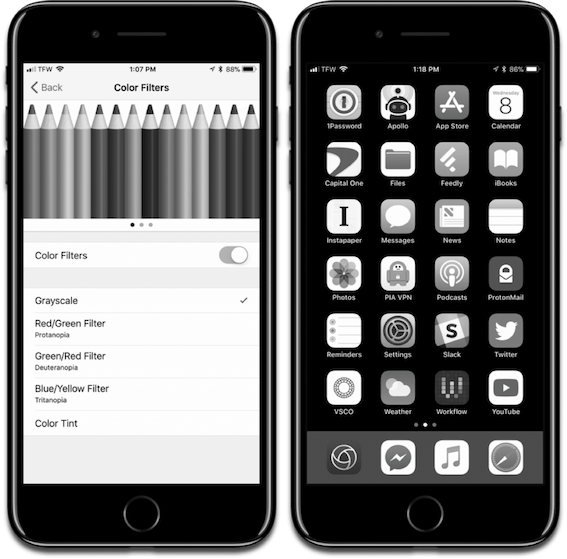 5/ Archive and even print Messages — If you want to save your text messages and iMessage conversations to your desktop, or even print them, with iMazing you can. It doesn’t matter if you want a PDF, text document, comma-separated values (CSV, like a spreadsheet) file, or a full printout of your messages, this app can handle it. You can also export attachments separately, for those times when you want to get a bunch of images out of your text message history. 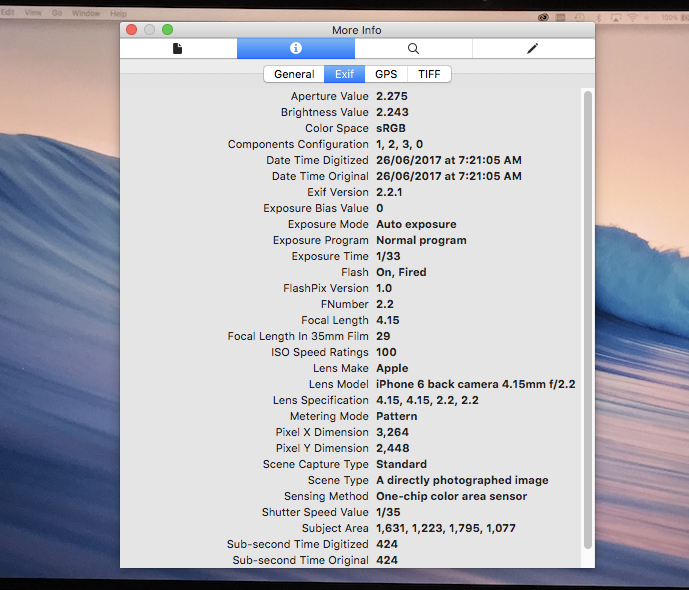 There’s lots more about this app at Mac Observer. 1/ Zoom in Safari using a Magic Trackpad — In the Trackpad or Mouse system preference pane, click the Scroll & Zoom tab, and then you can opt to check or uncheck Smart Zoom. Now, when you double-tap with two fingers, Safari and other apps will zoom the item tapped upon to fill the screen. Two-finger double-tap again, and it zooms back out to the normal view. This zoom remains preserved when you go back a page and back forward. 2/ Prevent tracking in Safari — macOS High Sierra will have a feature called Intelligent Tracking Prevention, and Sierra already has some anti-tracking abilities. Safari uses machine learning to prevent tracking in the browser, specially cross-site tracking. Open Safari and go to Preferences (press ⌘+,, or Safari > Preferences in the menu). You’ll see a new Website Tracking section (shown above) with two items: ‘Prevent cross-site tracking’ and ‘Ask websites not to track me’. The latter is also found in macOS Sierra and is equivalent to a Do Not Track setting. However, most websites won’t voluntarily honour this setting, and aren’t even legally obligated to do so. 3/ Use Modifier Keys with Safari history — You can click-and-hold on Safari’s back button to see a list of where you’ve been (above). This lets you quickly jump back to somewhere without hitting that back button several times. There are a couple of things you can do with this button to make it even cooler: if you’re looking for URLs instead, hold down the Option key on your keyboard before you click and click-and-hold the back button to do just that. If you want to keep your existing page as a tab or a window before you open something from your history, that’s easy too. Obviously, when you click the back button without holding it, Safari will go back to the last page you visited. Hold down the Shift key on your keyboard and click that button, and the browser will instead open your last page in a new window. If you hold down Command, your last page will open in a new tab. This Shift-or-Command trick also works if you have the history view open (History menu>Show All History). 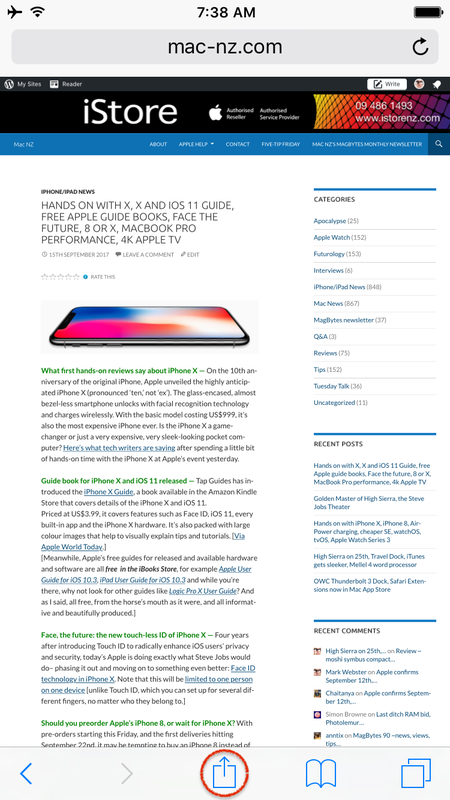 If you click-and-hold on your back button to bring up that little popover, holding down Shift and choosing any of the pages you visited opens it in a new window; Command opens it in a new tab. This behavior is actually all through Safari: shift-click a bookmark or a history item, and it’ll open in a new window; Command-click a link, and it’ll open in a new tab. 4/ Changing your WiFi Password on an AirPort device — Sometimes you’ve may want to change your Wi-Fi password – perhaps you gave it to someone you now wish you hadn’t, or maybe your roommate moved out, but you’ve seen them outside your house leeching off your connection. (I’m sure that’s happened to someone.) If you have an Apple router (like a Time Capsule, AirPort Extreme, AirPort Express), it’s really simple to change this. 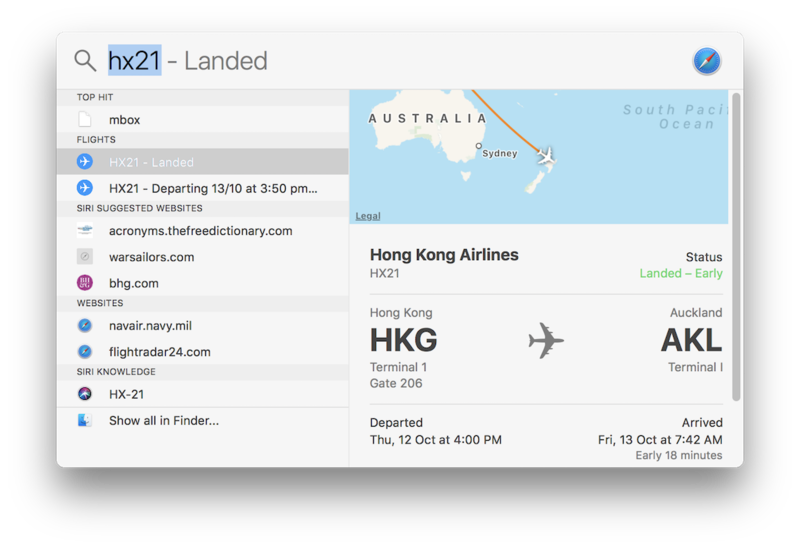 When AirPort Utility opens, click on your AirPort device and choose Edit. Once you click Edit, choose the Wireless tab at the top. There you’ll find your wireless password. So just type what you’d like your new one to be into both the first password box and the Verify Password box. Be sure that the ‘Remember this password in my keychain’ choice is on, too, but don’t mess with any other settings there unless you know what you’re doing. After your options are set, click Update. AirPort Utility will then of course warn you of what you’re about to do, and restart the device – full service will recommence after reboot. 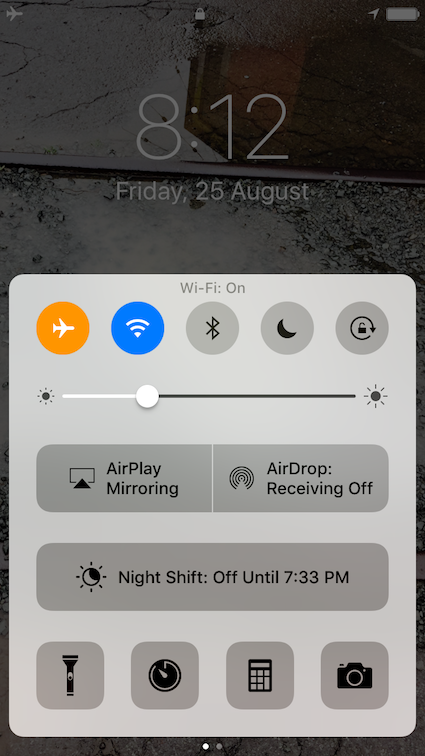 Keep two things in in mind: first, changing your Wi-Fi password doesn’t change your base station device’s password; if you’d like to make that the same, head over to the Base Station tab within AirPort Utility. Secondly, everything you own that connects to your Wi-Fi – iPhones, iPads, computers, Apple TVs, and printers, for example – will need to be reconnected to your network afterward, so don’t undertake this task lightly as you’ll be typing the new password into all those devices. It’s no fun to spend the evening changing passwords on printers if you haven’t planned for it. 5/ Use Terminal to send the macOS Help Viewer to the back — You can access your Mac’s built-in support info by choosing Help from the menu at the top of any program. 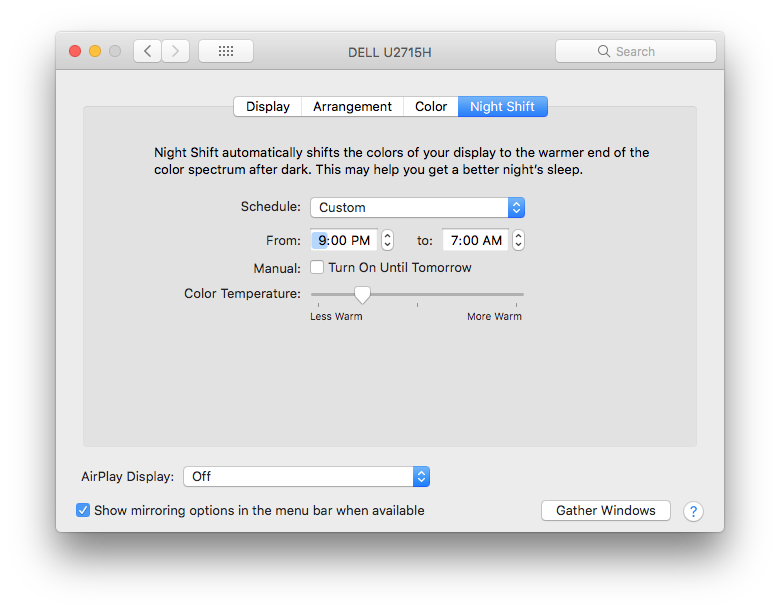 There is one irritation, though: the Help Viewer window always sits on top of everything else, even if you switch programs. It will stay in front until you close it (although you can Minimise it into the Dock by clicking the orange button at top left). Staying on top of everything can be frustrating when you’re attempting to try out a solution that the help pages suggest. …and paste it into the Terminal program after the flashing prompt. When the command is pasted in, press Return, and then the Help Viewer window will behave just like most of the other windows on your Mac: if you click on another window or program, it’ll move to the background.